Even the most negative experiences can help you grow. Cope in ways that work for you and give yourself time to heal. Everything in life is either a lesson or a blessing. Be patient. Good things come to those that wait. Just because you feel like you’re struggling now with your classes, work or other personal problems doesn’t mean that you aren't deserving of a happy, rich, and successful life. Don’t feel the need to rush anything, just live in the moment. Think about the people in your life that love you, and as long as you’re surrounded by things that make you happy, that is what matters. 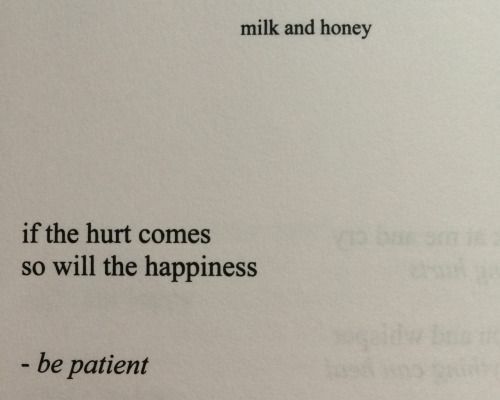 For more on Rupi Kaur, check her out on her website.